"Steer clear of that ship," warns the mysterious gentleman who shares a coach with John and his father. "Death she'll bring you," says the man. "It's the way of a ship that was christened with blood." This is an ominous introduction to the schooner John is about to be entrusted with for a voyage to London. But he's too charmed by the pretty Dragon to heed the advice. The ship looks clever and quick, and John can hardly wait to sail her. 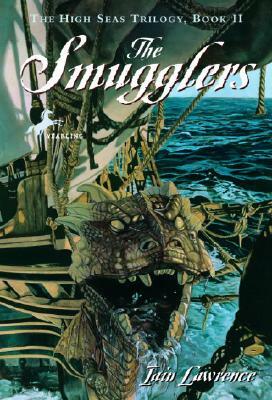 She was a smugglers' vessel once, but now she's his Dragon, and she'll proudly carry wool for honest trade. But soon John will be forced to consider the gentleman's warning. And to wonder what he really knows about his bonny crew. Iain Lawrence is a journalist, travel writer, and avid sailor.